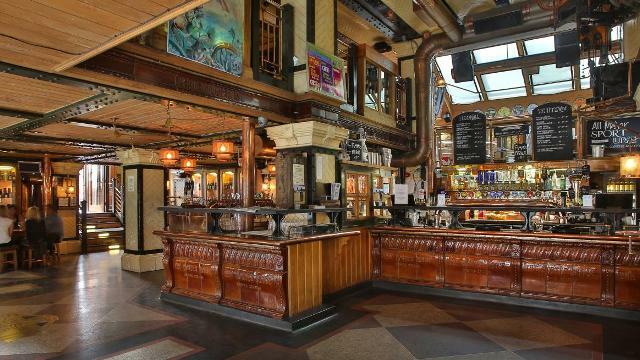 A cavernous Irish pub split across 12 levels, The Porterhouse is renowned for its wide selection of porters, stouts and ales, all lovingly brewed in Dublin and exported to London. Customers can also choose from hundreds of brands of bottled beers from around the world. The pub also serves up a range of modern bar cuisine with an Irish flavour. There is live music in the pub's basement bar every night from Thursday to Saturday. A big screen TV shows all of the major sporting events. The venue can cater for private parties of up to 200 people. Is The Porterhouse your business?